The name Puri perhaps took the shortened form from Purusottama Puri or Jagannath Puri. The holy land of Lord Jagannath, the paramount deity of Puri, is known by several names. 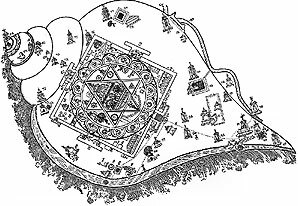 It is mentioned in Puranas as Srikshetra, Neelachala, Neeladri, Purusottama Dhama, Purusottama Kshetra, Purusottama Puri, Jagannath Puri and Shankhakshetra. Sankha means conch shell. 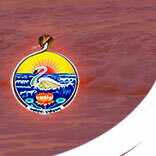 The geographical shape of Puri resembles a right oriented conch shell, the ‘Dakshinavarta Sankha’. It is in this shape of conch that all the sacred centres like temples, mathas, sacred tanks, trees and various other sacred sites are located. Sankha Kshetra is about ten miles in extent, of which a part is submerged in the sea and the remaining rises above. In the centre of the area lies the elevated part known as Nilagiri where Lord Vishnu, resides in the the famous temple in the form of Jagannath or Lord of the world. Built during the 12th century A.D. by King Anantavarman Chodaganga Deva the temple dominates the landscape for kilometers around being one of the tallest in Orissa (about 65 metres). Sri Chaitanya Mahaprabhu one of the greatest socio religious reformers of his era spent around eighteen years including his last days at Puri being hailed as "Sachala Jagannath" (living Jagannath). 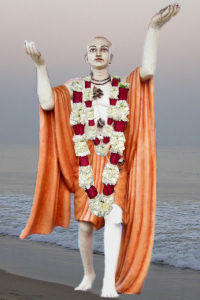 Other religious celebrities like Rai Ramananda Basudev Sarvabhauma and Jayadeva also stayed at Puri. Srimanta Shankar Deva of Assam had followed the same path. Religious dignifiers like Gorakhanath and Totapuri the vedantic teacher of Sri Ramakrishna had also visited this place. 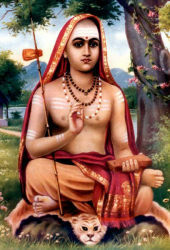 Adi Shankaracharya visited Puri and set up the Govardhan Math when Buddhism was predominant here. But in fact, the present Bimala temple within the Jagannath temple premises happens to be one of the ancient sites of fifty-one 'pithas' where sacred limbs of Devi Sati are beleived to have fallen. Chandan Hajuri son of one of the sevaks of Jagannath temple went on pilgrimage to northern India where he was introduced to Laxmi Bai, the legendary queen of Jhansi and was attracted towards India’s freedom Movement. He joined the Mutiny of 1857 under the queen and fought with the British. He was imprisoned by the British for his involvement in the said activities. 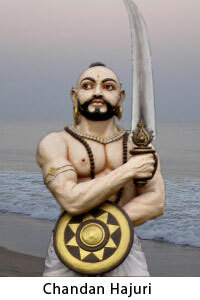 Later he spent his last days at Puri in literary pursuits and religious rites relating to Lord Jagannath. Puri is very much famous for its annual Ratha Yatra, or "Car Festival", when the deities Jagannath, Balabhadra, and Subhadra, are brought out of the temple, and placed in a chariot procession upto the Gundicha Temple at the end of the main road Badadanda Sahi with the return journey taking place seven days later. Lord Jagannath and the seascape beauty are the main attractions for the visitors all the year round.